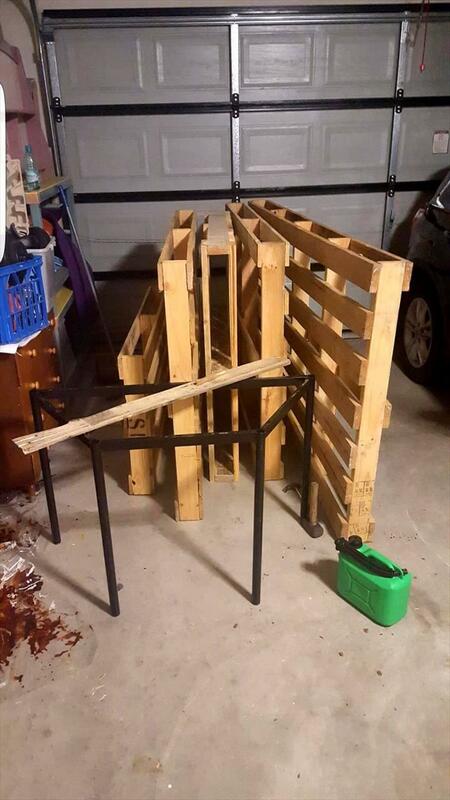 Here stock of old pallets having different sizes, has been used to install a robust bar table in larger dimensions! 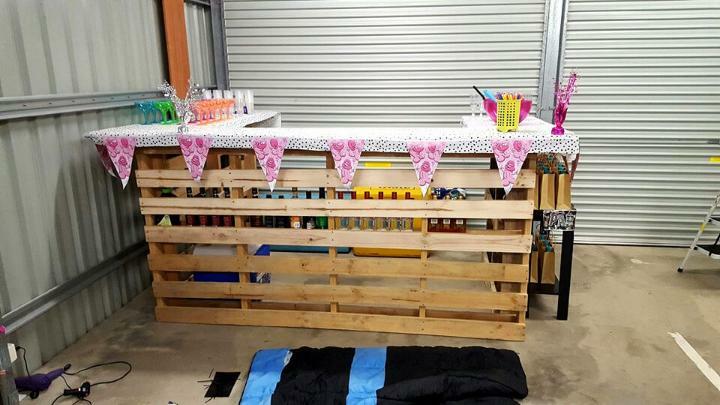 Here construction of this DIY large pallet bar table has been done using both uncut original pallet skids and also some of ripped down pallet skids! 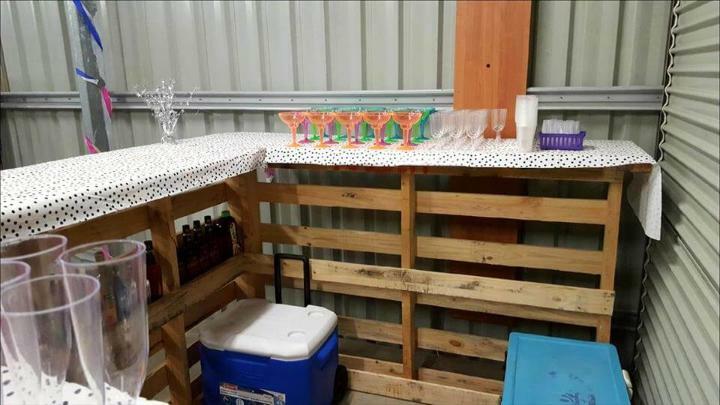 Stronger looking bigger skids have been made stand vertically as base walls of the bar table and has been secured in U-shape with the help of well suiting and latest hardware, this gives the entire base position to XL wooden pallet bar table! Counter or top of the bar table has been built separately but also in U-shape by putting together the straight and resized slats of pallets! The counter-top has been installed beautifully using custom interlocking techniques and is as stable as one can desire! Custom wooden holdings have been built in the base sections that beautiful hold the beverage bottles, you can raise the functional criteria of bar using lot of other things like hanging hooks, bottle openers, coaster racks and towel racks! 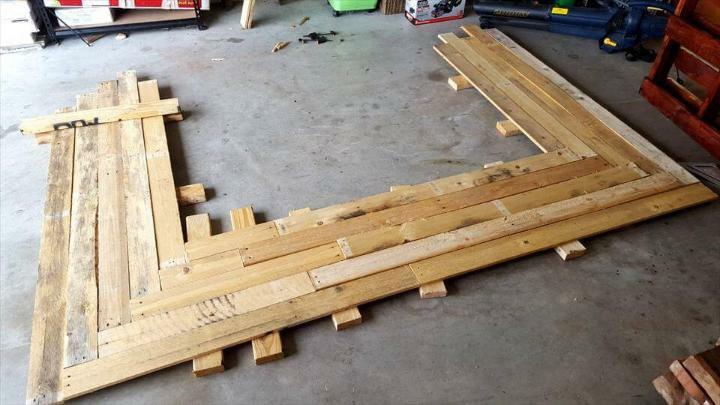 Here is the stock of pallets, included with different sizes of pallets, got for construction of a large beverage bar! 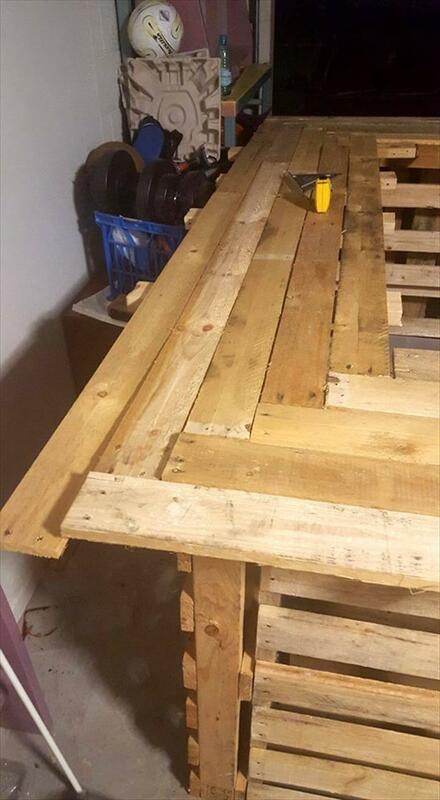 Get the larger pallets of equal height in vertical positions, tie them together in U-shape, this will be the total base of the bar! 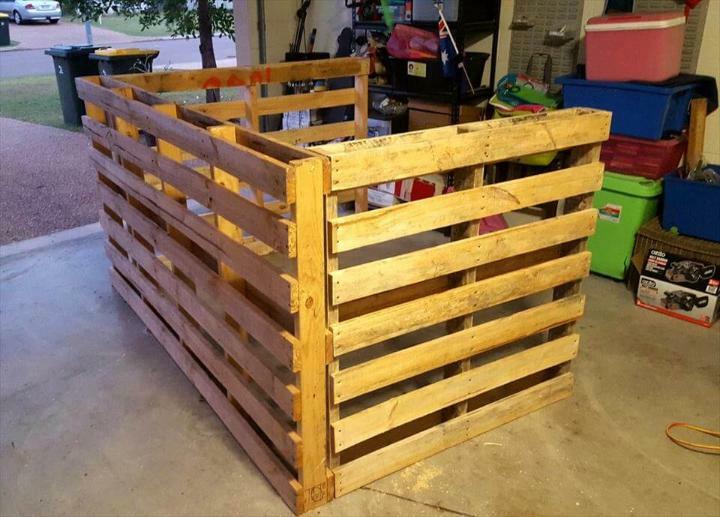 Do modify the base pallets for some built in holdings, shelves or cubbies to secure the liquor supply! Here slats of pallets have been put flat and interlocked beautifully for a large counter-top of this wooden bar! Make the separately built top sit beautifully over the base frame and just secure it in place using hardware! Do layer the glue inside the spacing for lasting inner strength to planks! After you gain the top in super stable position the bar table would be all ready to plan for the parties and celebrations! You can do a lot more things for overall garnishing of this large wooden bar, like giving a gab colorful cover to counter-top, tagging some custom symbols and logos in the front and also by adding custom colorful knickknacks! 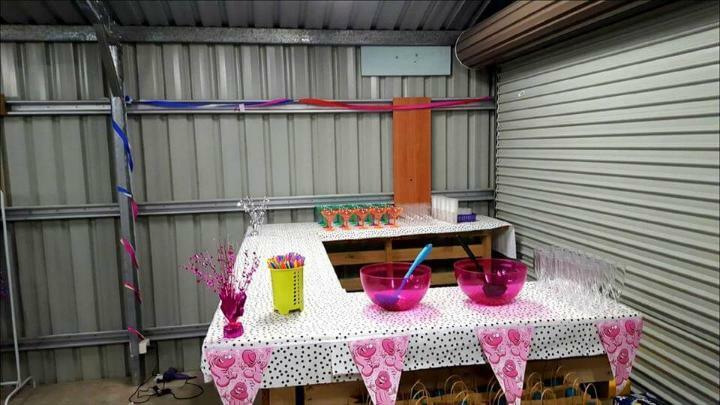 Here this large wooden bar has been decorated with pink color buntings, colorful glasses eating tools have been placed over the bar counter!